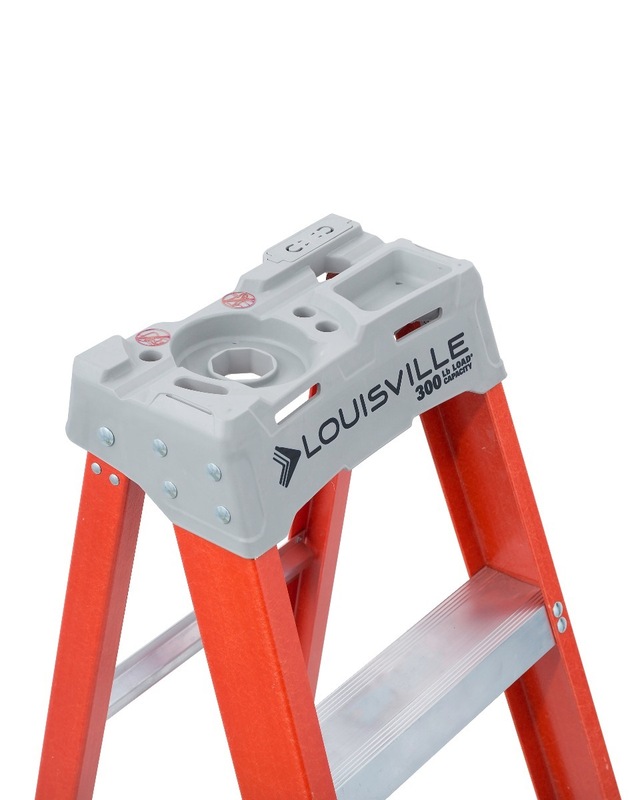 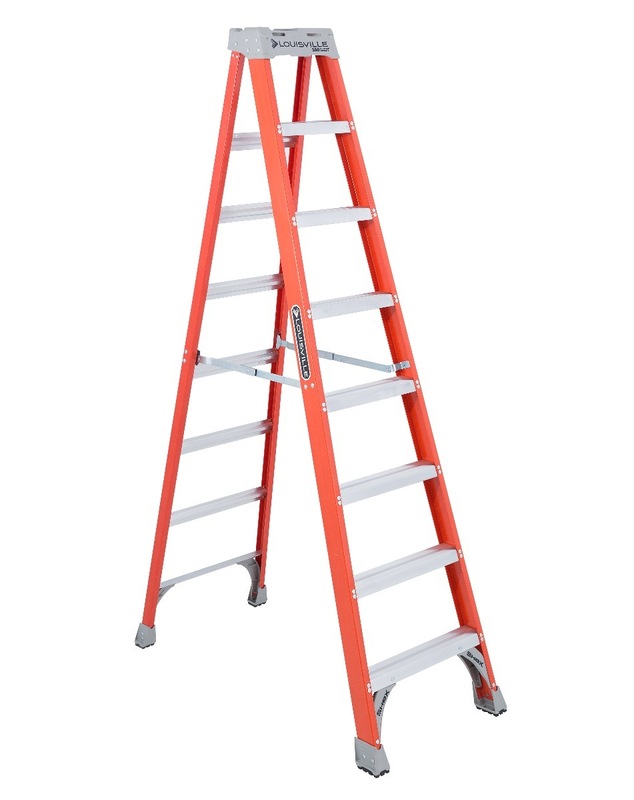 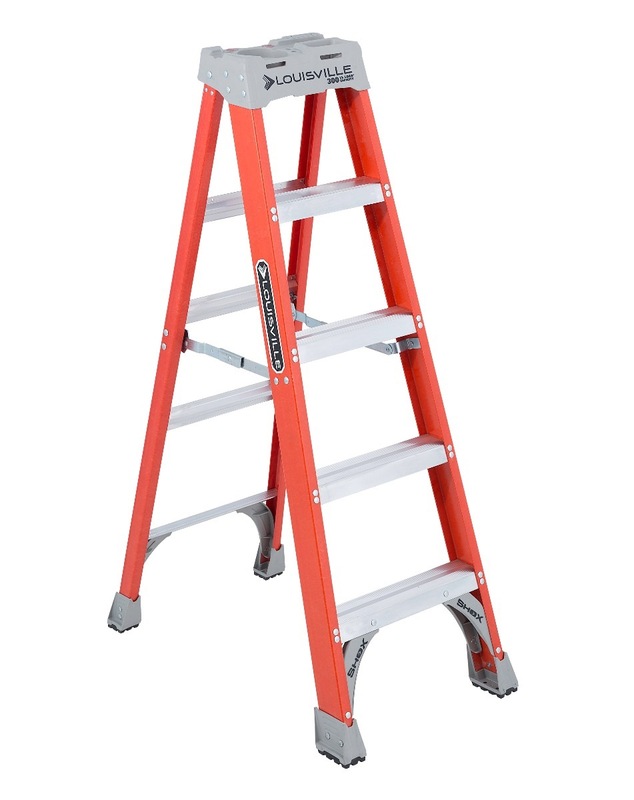 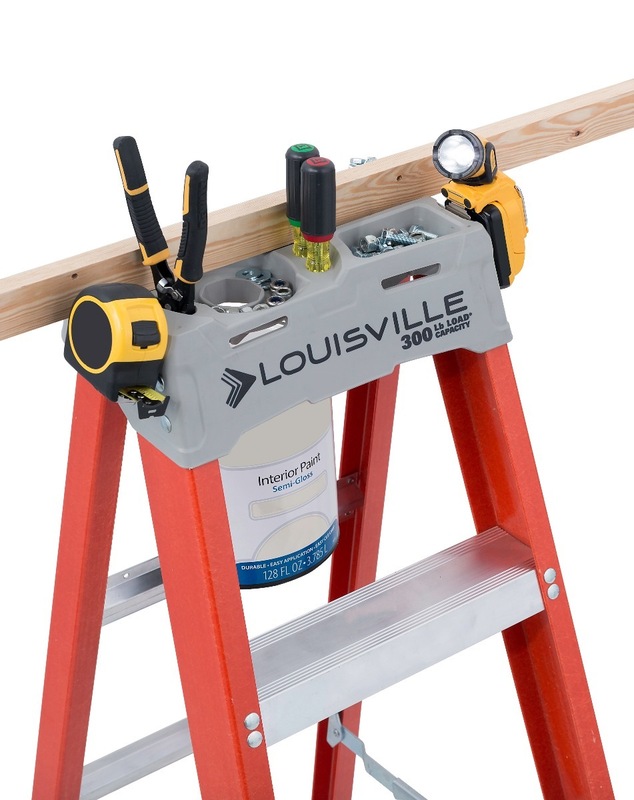 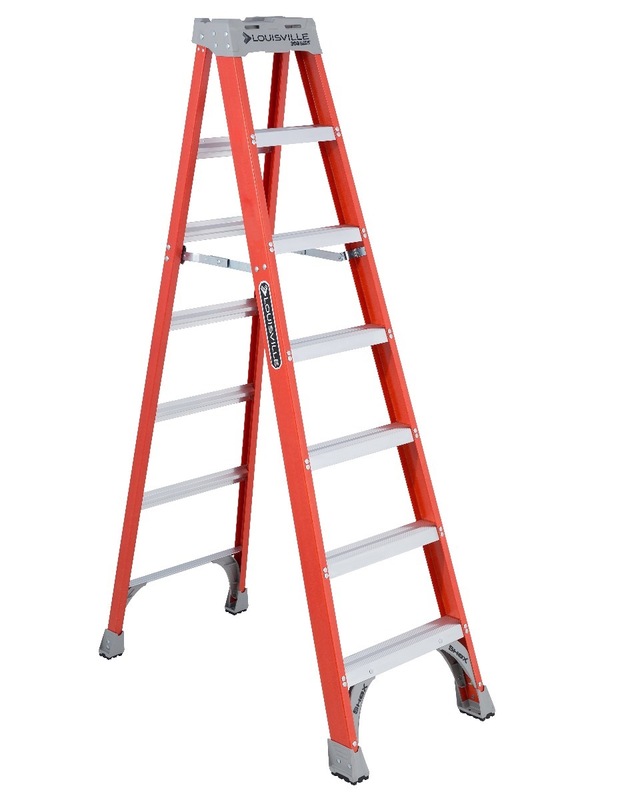 LOUISVILLE HD FIBREGLASS LADDER FS1500 SERIES is rated 5.0 out of 5 by 2. 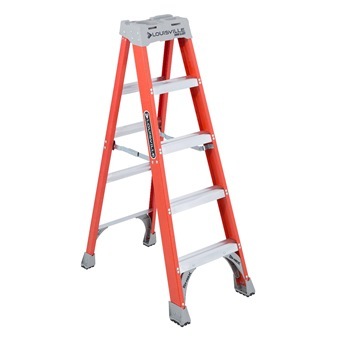 A non-conductive fiberglass step ladder extra-heavy duty capable of supporting 300lbs. 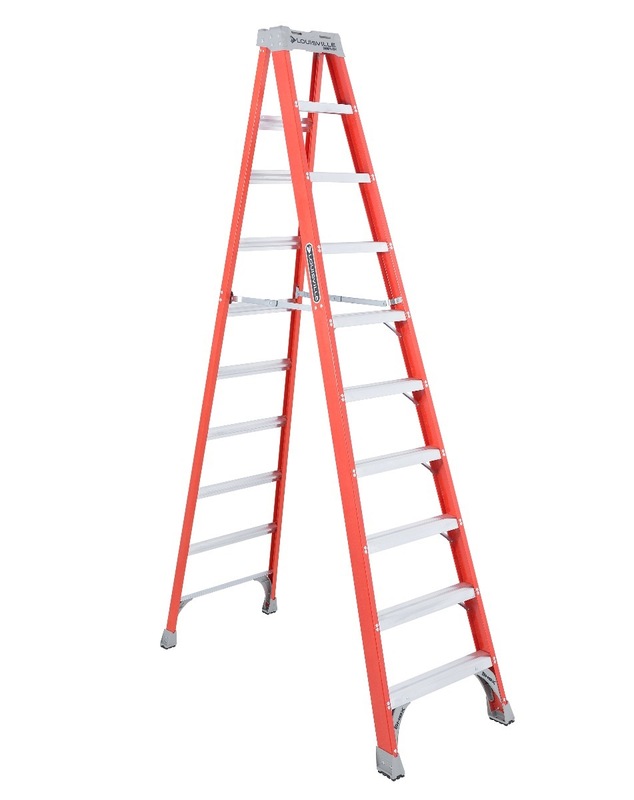 Max Standing Height 2' 10" 3' 10" 4' 9" 5' 8" 7' 7" 9' 6"
Max Reach 9' 5" 10' 5" 11' 4" 12' 3" 14' 2" 16' 1"
Rated 5 out of 5 by mich from ladder and trolley excellent condition and speedy delivery! 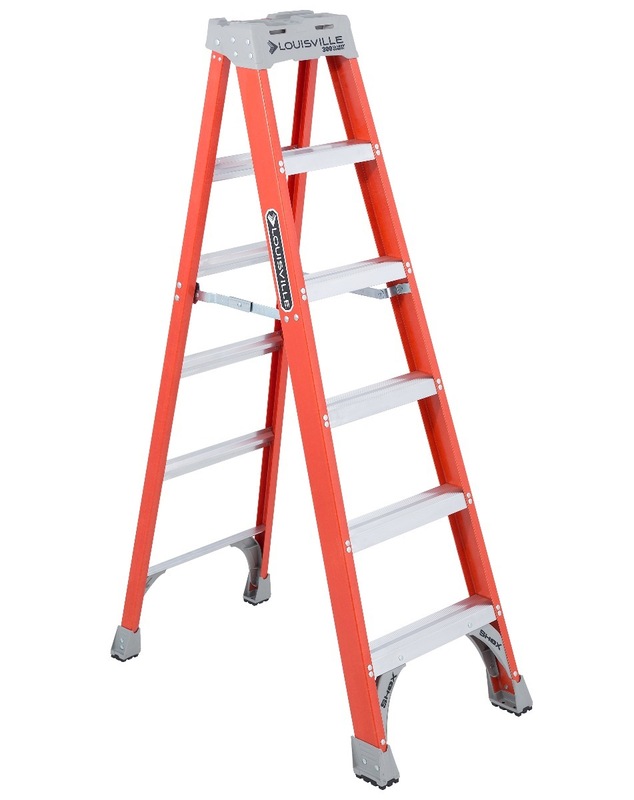 the conditions were good and the brands were quite reliable.